(5 September 2018, HONG KONG) Prudential Hong Kong Tennis Open (“PHKTO”) today announced that the player field for its fifth edition will be led by 2017 French Open champion Jelena Ostapenko, World No.7 Elina Svitolina, fast rising talent Naomi Osaka, and China’s top two ranked players, Zhang Shuai and Wang Qiang. 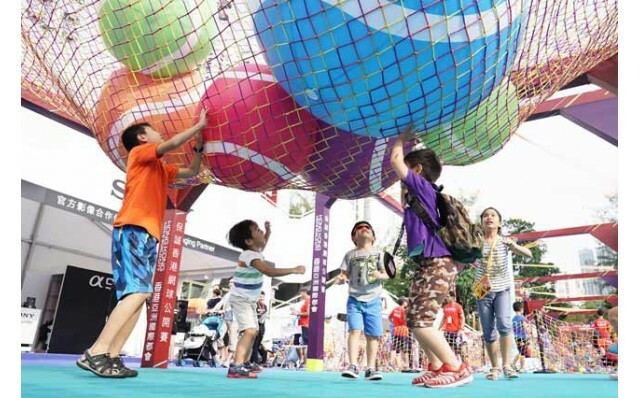 The US$500,000 WTA International Series event, which takes place from 6-14 October at Victoria Park Tennis Stadium also shared details of its local wild card players, new fan initiatives and activations at its expanded Tournament Village. “As we celebrate our fifth edition, we thank our title sponsor, Prudential Hong Kong Limited (“Prudential”) and the Hong Kong Government for their continuous support, which has enabled us to continue developing an unmissable world class event that showcases Hong Kong on the world stage. 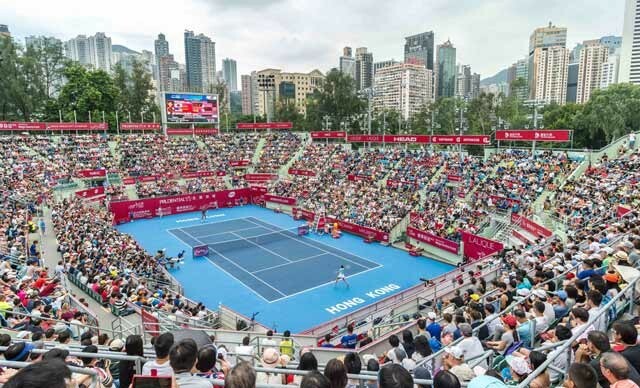 We are delighted that the Prudential Hong Kong Tennis Open is being supported by the Hong Kong Tourism Board and has been recognized as an “M” Mark event that helps enhance the image of Hong Kong as Asia’s sports event capital. The “M” Mark awarded by the Major Sports Events Committee, symbolizes intense, spectacular and signature events in the territory sports calendar," Mok added. 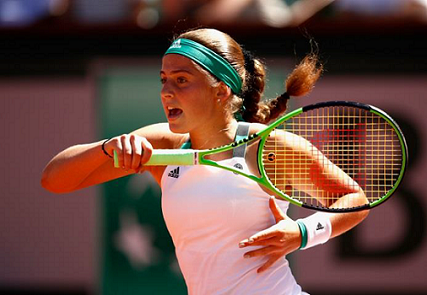 21-year-old Jelena Ostapenko will make her debut in Hong Kong after a summer in which she reached the Wimbledon semi-finals and solidified herself as a Grand Slam threat on any surface. 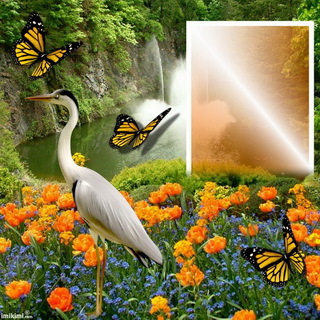 The current World No. 10 made headlines around the world in 2017 when, at 19 years old she barreled through the draw and became the first unseeded woman to win the French Open since 1933, also becoming the first Latvian to win a Grand Slam title. Her hyper aggressive game also took her to the Miami final earlier this year and has marked her as one of the most exciting players on the WTA. World No.7 Elina Svitolina returns to Hong Kong for the second year on the back of a typically rock solid season for the 23 year old Ukrainian. 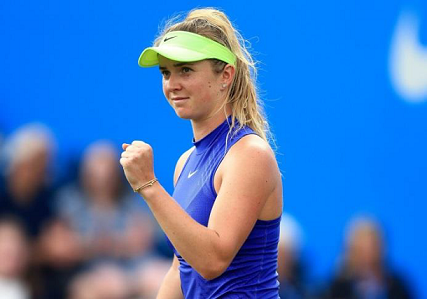 After starting the year with a title at the Premier event in Brisbane, Svitolina reached the quarter-final sat the Australian Open, captured the Premier title in Dubai and defended her crown at the prestigious Italian Open in Rome, currently placing her in fifth place to qualify for the WTA Finals in Singapore. 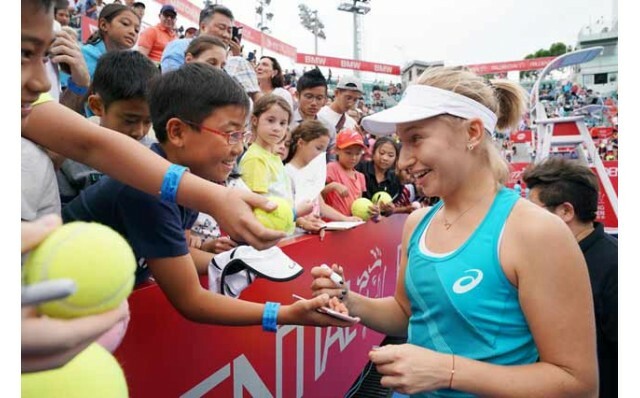 The popular Ukrainian will be looking to add to her impressive 12 WTA singles titles when she touches back down in Hong Kong. 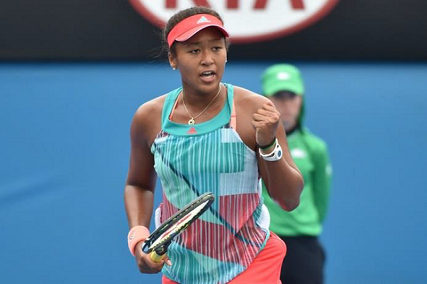 SincereachingthePHKTOquarterfinalsin2017,20-year-old Japanese No.1 Naomi Osaka has broken into the world’stop20 and captured her first title at the WTA Premier Mandatory event in Indian Wells, often called the “fifth” Grand Slam” due to its significance on the calendar. The current World No.19 has defeated a bevy of top players in the past 12 months, including World No.1 Simona Halep. Tipped to be a future world number one herself, and currently playing in the USO pen quarter-finals, the crowd favourite will be looking to deliver on that promise in October at Victoria Park. Returning to Hong Kong for the second year, Chinese No.1Zhang Shuai captured hearts in2016 with her stirring run to the Australian Open quarter finals. Since then the current World No.34 has solidified herself in the upper echelons of the WTA and captured 2WTA titles in Guangzhou. Zhang is joined by her compatriot and Chinese No.2 Wang Qiang. 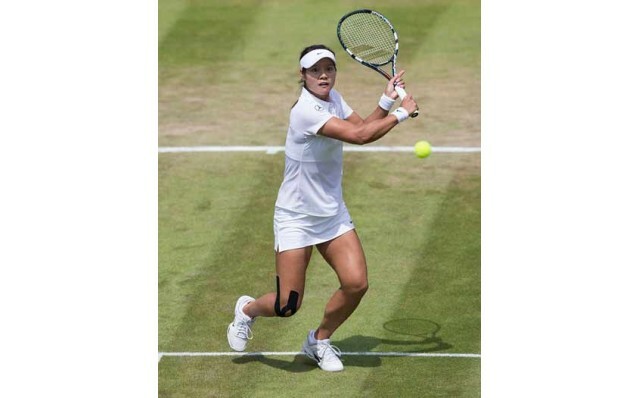 The 26-year- old has had a break through 2018, winning her first WTA title in Nanchang in July and capturing her second straight gold medal at the Asian Games in August and will be looking to improve upon her 2017 semi-final result in Hong Kong this year. PHKTO also announced the details of two of its 2018 singles wildcards. Wildcards will be awarded to Hong Kong’stop 2 players, Zhang Ling and Eudice Chong. Both players recently returned from successful campaigns at the Asian Games in Indonesia where they reached the singles quarter-finals, with Zhang also reaching the mixed double squarter-finalswithBrianYeung.ChongrecentlycapturedhersecondprofessionalsinglestitleattheUS$15,000ITFeventinHongKonginJuly. 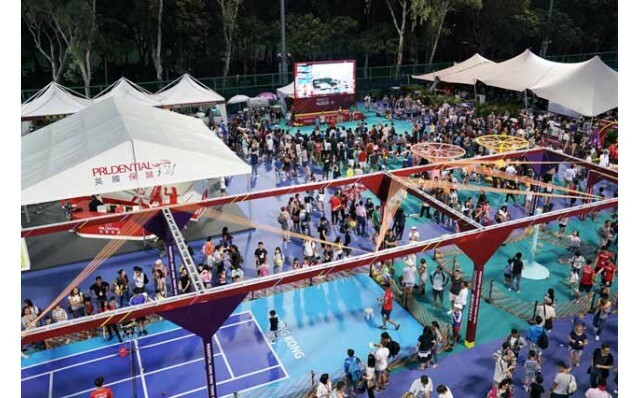 PHKTO also introduced its enhanced and larger tournament Village for 2018, part of its fifth event celebrations and the tournament’ s mission to bring the event to as many people as possible. Relocating to a new, larger site adjacent to the stadium at Victoria Park Soccer Pitch 6, the Village will be embracing its theme of “Served with Fun,” with an array of activations and events to entertain people of all ages and interests. Highlights include a series of 3 music concerts, on Tuesday 9 October, Wednesday10 October and Thursday 11 October featuring popular artists Shiga Lin and other popular artists; additional mini tennis courts for fans to pick up a racquet and practice their game or participate in coaching clinic sand demonstrations; interactive tennis themed games and sponsor activations; a selection of F&B served from food trucks; star player autograph sessions and live broad cast of the matches on the village big screen. Additionally, the Official Imaging Partner of PHKTO, Sony Hong Kong will also be partnering with HKTA to organize a PHKTO photography competition during the event week for avid amateur photographers to capture exciting moments at this world-class tennis tournament. Fans will be able to use Sony’s latest imaging products (product loan will be arranged on a first-come, first-served basis) to take high quality actions hot so the star players from are served shooting are a on Centre Court and have a chance to win prizes. “Our number one goal since PHKTO’s inaugural event has been to bring tennis to the community and offer entertainment to people of all ages and backgrounds, both locally and from overseas,” said PHKTO Steering Committee Chairman Oscar Chow.“ With a world class field and enhanced village activations and entertainment, not to mention the appearance of our special guest Li Na, there really is something for everyone to enjoy, as we continue to strive to make the sport more accessible to all and further develop sporting culture and grass roots participation in Hong Kong,” added Chow. Tickets for 9- 14 October are now on sale and can be purchased at Cityline and Tom Lee Music outlets, through the Cityline Booking Hotline +852 2111 5333 and online at www.cityline.com. 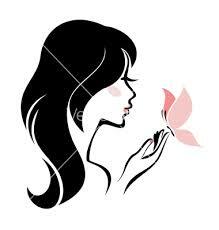 More information can be found at the Tournament’s official website www.hktennisopen.hk.